That was the first book I have read by Sean Grigsby, but it will not be the last! I was looking for some action and some humour in this book. I was thinking along the lines of the Stainless Steel Rat or Callahan's Crosstime Saloon. And it did not disappoint. This book contains more than a little action, but what would you expect in a firefighters vs dragons story. But it also has a lot of humour, and most of it comes from our main character Firefighter Cole Brannigan. But first let's get a bit of back story. At some point in the near future Dragons awake and come to the surface of the earth. They bring destruction, devastation and death. Most of the world's governments have collapsed, a lot of infrastructure has been destroyed, and each state runs sort of as an independent jurisdiction. Cole Brannigan is a firefighter, just a regular old firefighter who has been on the job for almost 30 years. He is about to retire, but on his last call there is a dragon attack and the Smoke Eaters (Dragon Fighters) are not there yet. So he goes in to rescue his crew members. That night he found out he was immune to dragon smoke. 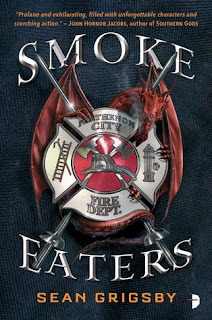 And was almost immediately drafter into the Smoke Eaters. It was not what he had planned, and definitely not what his wife had planned. So after 30 years on the job he was a bit of a smart mouth, and had a big attitude, but he also knew how to investigate and had a hunch that something strange was going on, will he be able to figure it out before the mayor finds a way to fire him, or before he ends up dead? In fact he reminds me a lot of Lt. Stephen "Bull" McCaffrey from Backdraft. As a matter of fact take the movie Backdraft and drop in Dragons and you have a pretty good picture of this book. And oh by the way this book would make an amazing movie. In the story there are a lot of side characters that we do not get to know that well. But the main characters are very well written, and fleshed out. The pace of the novel of breakneck, it was very hard to put it down the few times I needed to. And to be honest I hope we see more stories in this world. 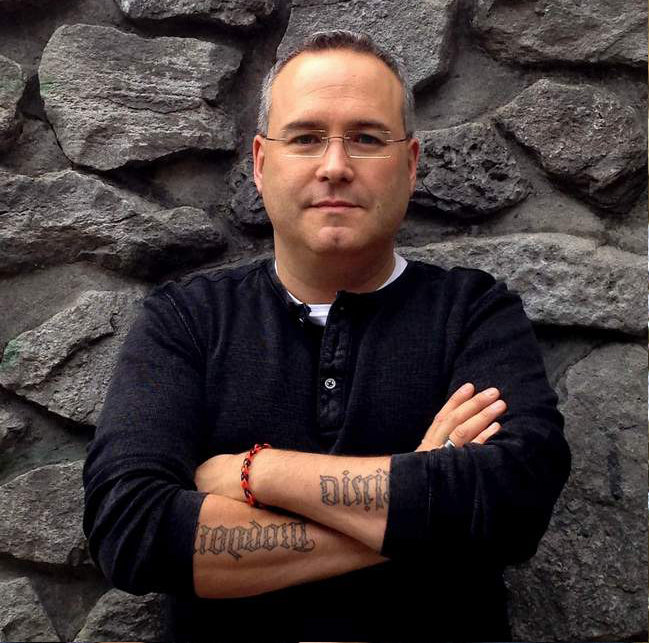 This story is wrapped up, but there are a lot of different places Grigsby can take the story in future works. For fans of classic science fiction this book will be like reading an old favourite. It is much like reading Heinlein, Harrison, Robinson, and Herbert. It is a fun read and I give it two enthusiastic thumbs up!